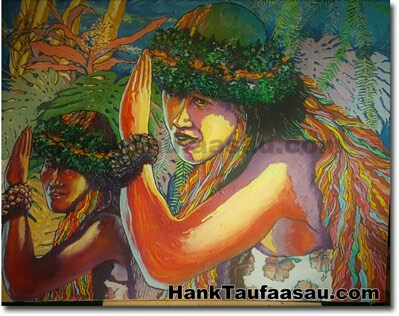 Taufaasau is regarded primarily for his bold renderings of Polynesian people. His colors are vivid, bright and lively. 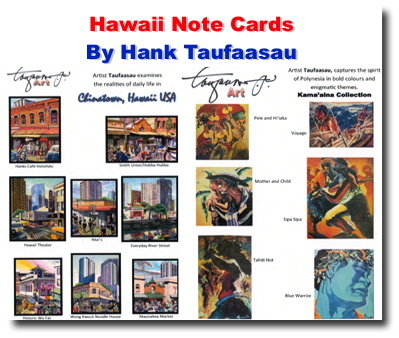 Hank Taufaasau has sold hundreds of Hawaii fine art paintings. 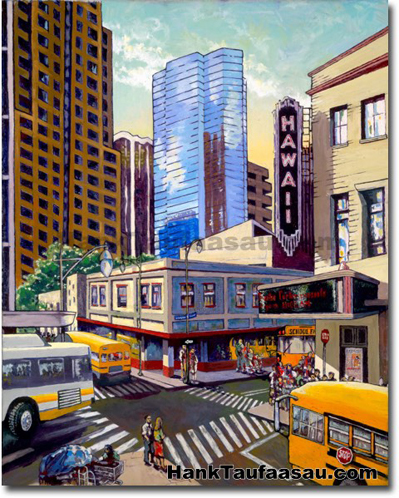 Visit our online gallery to see current works available for sale currently in Honolulu, Hawaii. 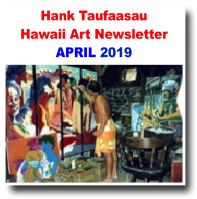 View Hank Taufaasau art collections. 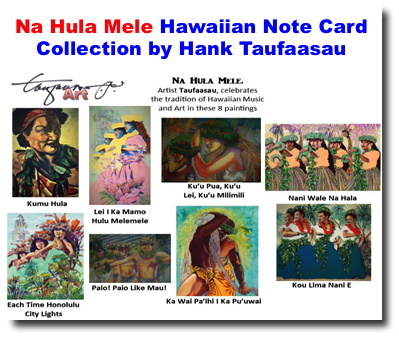 Groups of art painting by category. 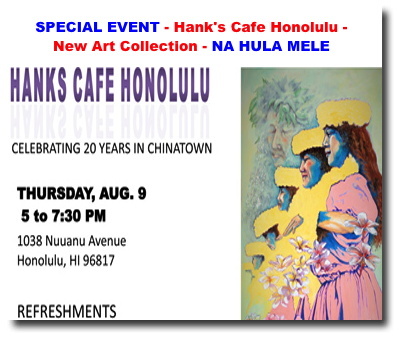 Chinatown collection, portraits etc. 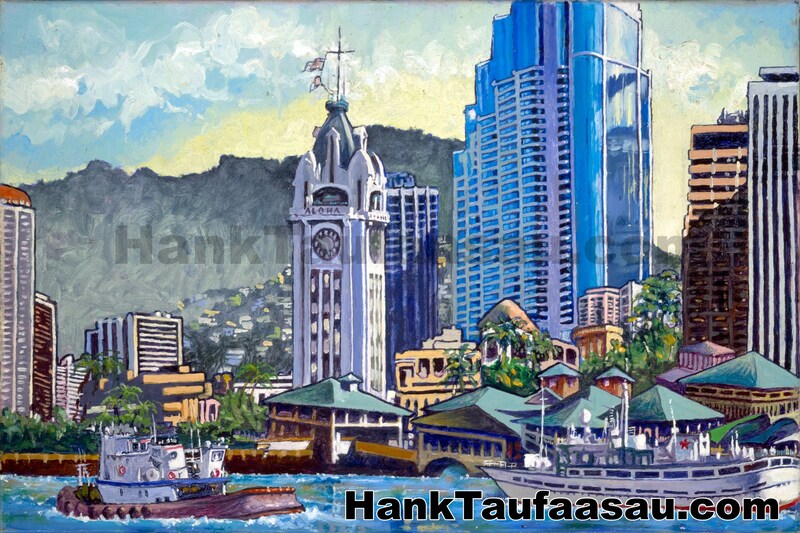 A commission oil is an oil painting personally created by Hank Taufaasau for a collector. Inspiration: The anchor of the new Chinatown, refurbished to the tune of 21 million dollars. A typical mid-morning when school children are attending a special affair. NEW IMAGE - Paio!. Paio Like Mau! 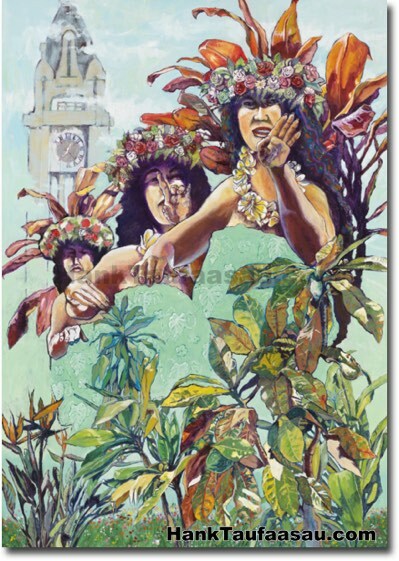 Inspiration: From Na Hala O Naue, by J. Nahinu, 1888, honoring Kaleleonalani (flight of the Heavenly ones), the name given to Queen Emma, wife of Kamehameha IV, after the death of her son and husband. 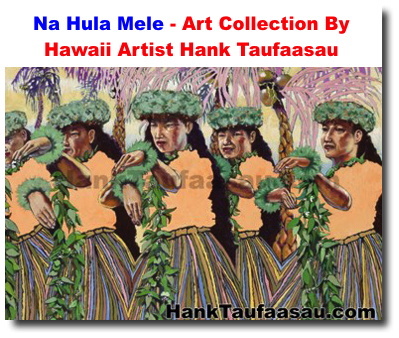 Often performed with the pu'ili, or split bamboo. Inspiration: From Ka'ahumanu, by Helen Desha Beamer in 1916 for Ahahui Ka'ahumanu, a women's benevolent society that wear the yellow feather lei. 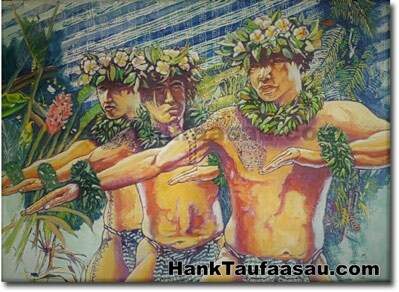 Dancers derive inspiration from I'olani Luahine. 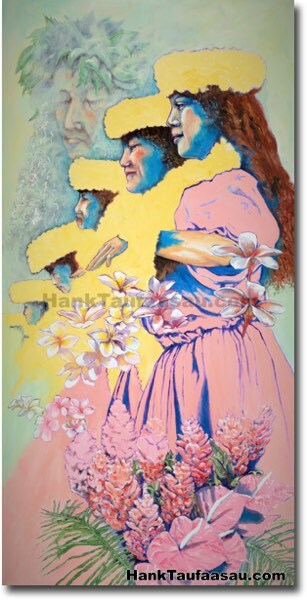 Inspiration: (My flower and Lei; mine to cherish) From Ka Makani Ka'ili Aloha, story of a Kipahulu man whose wife left him. 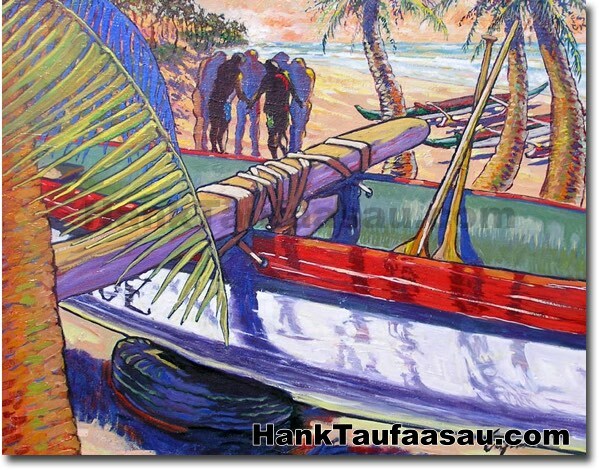 Chanting love songs into a calabash, he set it afloat. 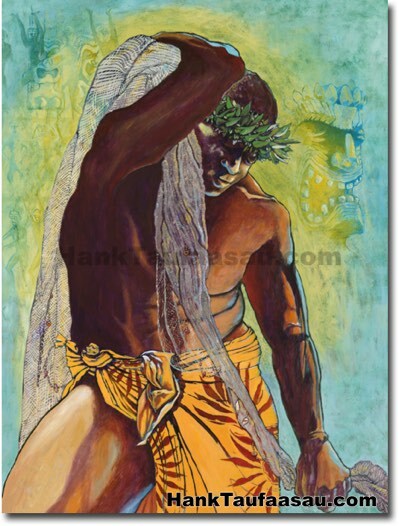 The wife, gathering lipoa in the ocean, spotted the calabash and realized she was deeply loved, and returned to her husband. 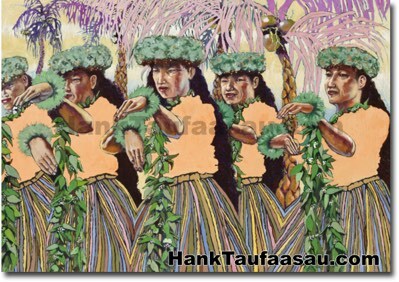 Inspiration: From Lovely Hula Hands, by R. Alex Anderson, 1940. 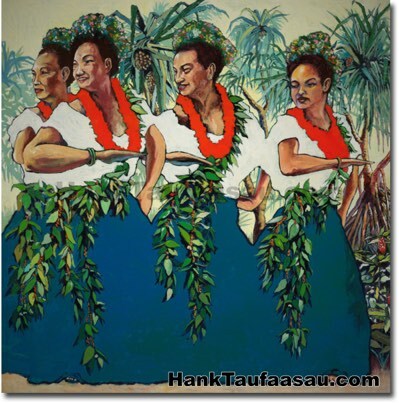 Of all the hapa-haole songwriters, Anderson comes closest to capturing the Hawaiian sound. 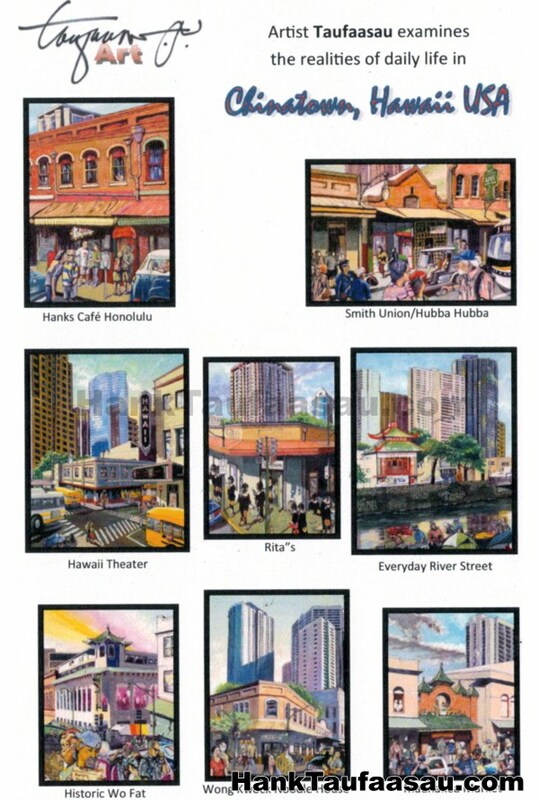 Inspiration: From Honolulu City Lights, Keola Beamer, 1978. 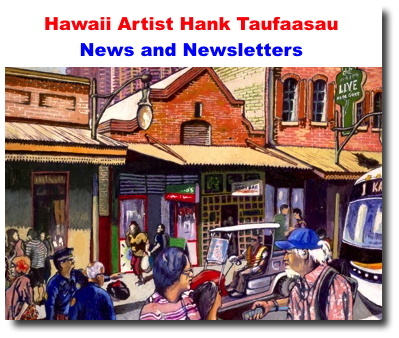 Hawaii Artist Hank Taufaasau examines the realities of daily life in Chinatown - Honolulu, Hawaii.